The store. The Joe and the Juice shop this came from is the one just up the street from me in Palo Alto, at 240 Hamilton Ave. (at Ramona St.). Açaí na tigela (“açaí in the bowl”) is a typical Brazilian dish made of frozen and mashed açaí palm fruit. It is served as a smoothie in a bowl or glass, and is commonly topped with granola and banana, and then mixed with other fruits and guaraná syrup. Açaí na tigela is popular all over Brazil, but mainly in Pará, Rio de Janeiro, Florianópolis, São Paulo, Goiás and along the northeastern coast, where it is sold in kiosks lining the beach promenade and in juice bars throughout the cities. 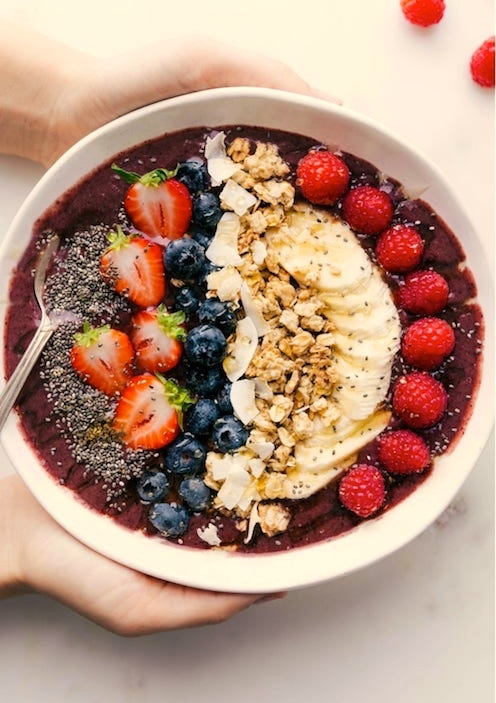 The açaí palm, Euterpe oleracea, is a species of palm tree (Arecaceae) cultivated for its fruit (açaí berries, or simply açaí), hearts of palm (a vegetable), leaves, and trunk wood. Global demand for the fruit expanded rapidly in the 21st century and so the tree is cultivated for that purpose primarily. The species is native to Brazil, Peru, Suriname, and Trinidad and Tobago, mainly in swamps and floodplains. 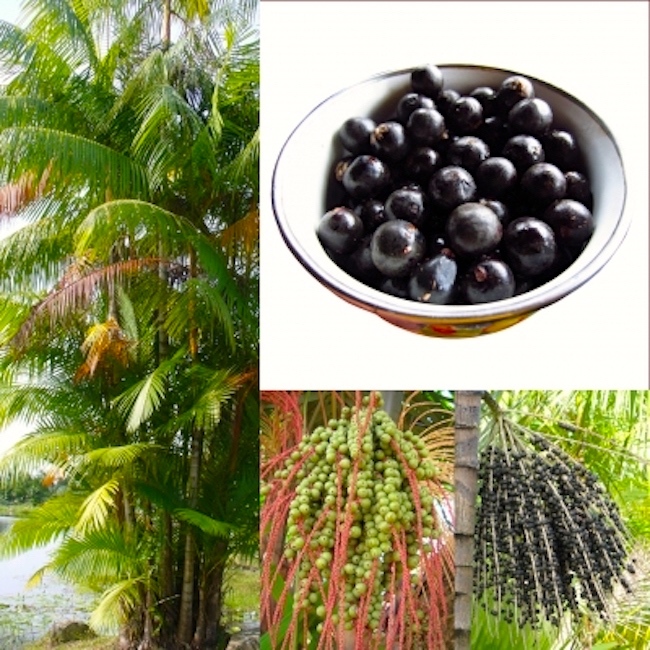 Açaí palms are tall, slender trees growing to more than 25 m (82 ft) tall, with pinnate leaves up to 3 m (9.8 ft) long. The fruit is small, round, and black-purple in color, and may be sold as a frozen fruit pulp or bottled juice drink with added sugar or other sweeteners. The fruit is a staple food in the tree’s native range, but was only introduced to international markets in the 1980s. Guarana, Paullinia cupana, is a climbing plant in the family Sapindaceae, native to the Amazon basin and especially common in Brazil. Guarana has large leaves and clusters of flowers and is best known for the seeds from its fruit, which are about the size of a coffee bean. As a dietary supplement or herb, guarana seed is an effective stimulant: it contains about twice the concentration of caffeine found in coffee seeds … The additive has gained notoriety for being used in energy drinks. Now we have stumbled on two significant plant families that have been mentioned in passing a number of times on this blog but haven’t been officially recognized: the Arecaceae, the palm family (#93), to which the acai palm belongs; and the Sapindaceae, the soapberry family (#94), to which the guarana vine belongs. The Arecaceae [#93] are a botanical family of perennial plants. Their growth form can be climbers, shrubs, trees and stemless plants, all commonly known as palms. Those having a tree form are colloquially called palm trees. … Currently 181 genera with around 2600 species are known, most of them restricted to tropical and subtropical climates. Most palms are distinguished by their large, compound, evergreen leaves, known as fronds, arranged at the top of an unbranched stem. However, palms exhibit an enormous diversity in physical characteristics and inhabit nearly every type of habitat within their range, from rainforests to deserts. The Sapindaceae [#94] is a family of flowering plants in the order Sapindales known as the soapberry family. It contains 138 genera and 1858 accepted species, including maple, ackee, horse chestnut and lychee. … Sapindaceae includes many species of economically valuable tropical fruit, including the lychee, longan, pitomba, guinip/mamoncillo, korlan, rambutan, pulasan and ackee. Other products include guarana, soapberries and maple syrup. Some species of Maple and Buckeye are valued for their wood, while several other genera, such as Koelreuteria, Cardiospermum and Ungnadia, are popular ornamentals. Schleichera trijugais the source of Indian macassar oil. Saponins extracted from the drupe of Sapindus species are effective surfactants and are used commercially in cosmetics and detergents. Among earlier postings on plants in this family, from 2/5/15, “Signs of spring”, with an extensive section on buckeyes. 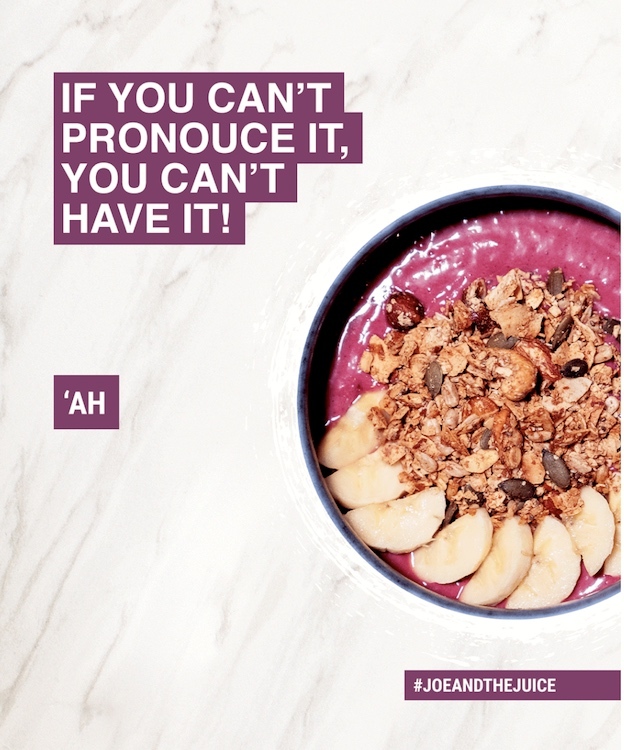 This entry was posted on April 16, 2019 at 1:52 pm and is filed under Errors, Language and food, Language and plants, Typos. You can follow any responses to this entry through the RSS 2.0 feed. You can leave a response, or trackback from your own site.